Some days, I’m a killer homemaker. Some days, I barely make it out of my pajamas before my husband gets home from work (and once or twice, that hasn’t even happened…). It’s just hard work having 2 kiddos under 3 and a teen…It always seems like those not-so-easy days are the ones that need a good shove to get past them–the shove I’ve started using to make the next day better? 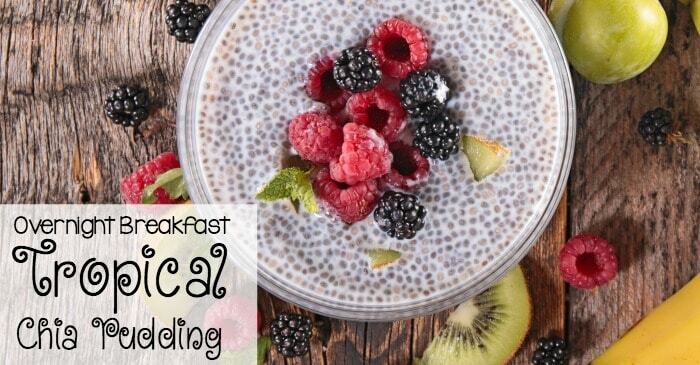 Overnight Tropical Breakfast Chia Pudding. If I can have my dessert as breakfast and my breakfast waiting for me–and I have to prepare nothing–that just makes my day sooooo much better. I didn’t know about chia seed pudding until I’d read this awesome recipe for Vanilla Blueberry Chia Pudding from my friend Stephanie…I was out of blueberries, though (mostly because I promised myself that I would not buy anymore fruit at the superstore anytime soon). All I had was the tropical mix my kids enjoy for a snack. But, Stephanie said I could use ANY fruit…so I started experimenting. Because the chia seed is so packed with vitamins and nutrients, I know I’m staring off my morning right–even if it does taste like I’m indulging like a crazy person (which, let’s be honest, I have done on more than one occasion). 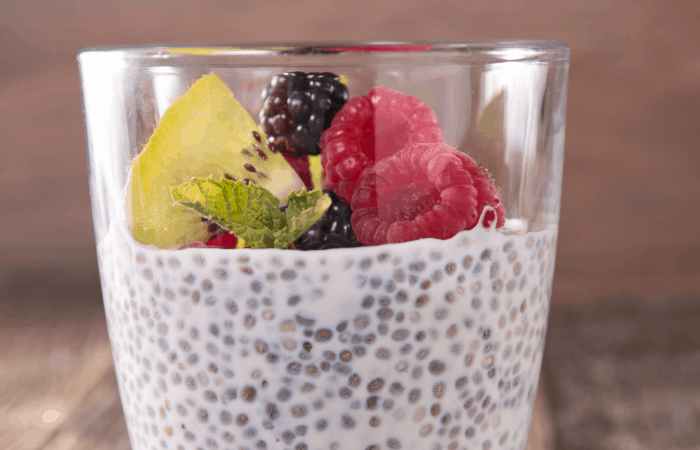 But, more than that, the idea of having this Overnight Tropical Breakfast Chia Pudding is something I feel like I can look forward to. Somehow, knowing that my breakfast is going to be awesome just makes me feel better when I’m wrapping-up a crappy day. Is it that way for you? Anyway. Try it. You’ll love it. It’s amazing. And very tropically–LOL! 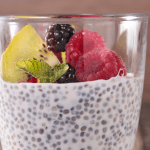 Overnight Tropical Breakfast Chia Pudding. If I can have my dessert as breakfast and my breakfast waiting for me--and I have to prepare nothing--that just makes my day sooooo much better. Mix coconut milk, pineapple juice, banana and pineapple together in a blender for about 3 mintues or until smooth. Remove from refrigerator, top with chopped fruit (at one point I just used a fruit cup from my kid's snack box...LOL!). Enjoy--and may your day be better than yesterday. So, what do you think? 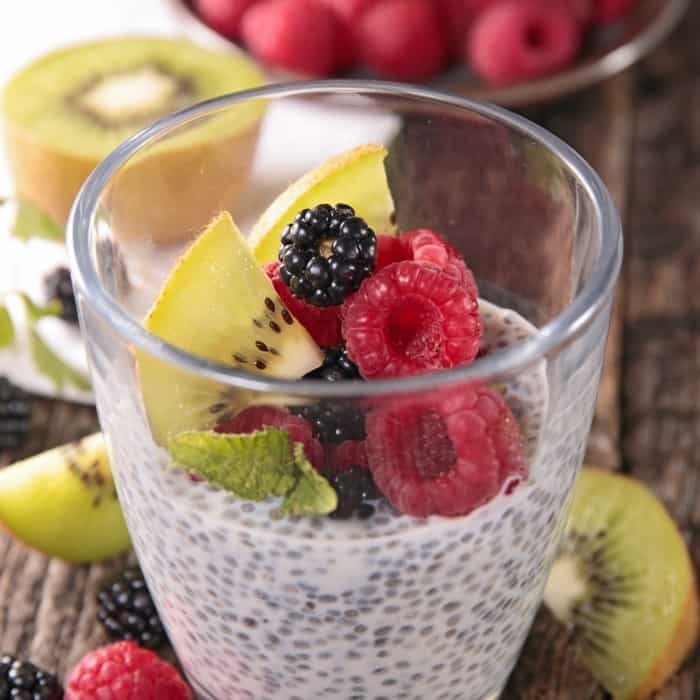 Will you be making some Overnight Tropical Breakfast Chia Pudding for your dessert-for-breakfast, get-over-my-crappy-yesterday treat? I really think you should. We all need a little somethin-somethin every once in a while. LOL!